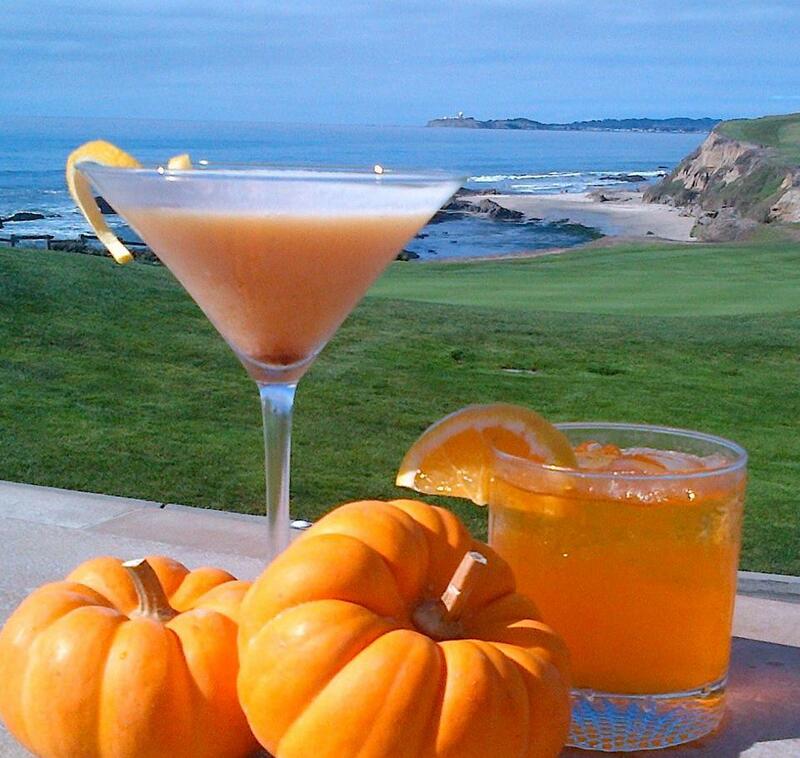 That's right, I said Pumpkin Martinis. Here's one recipe I found for you all to try. I had no idea that there were so many ways to make a pumpkin drink. 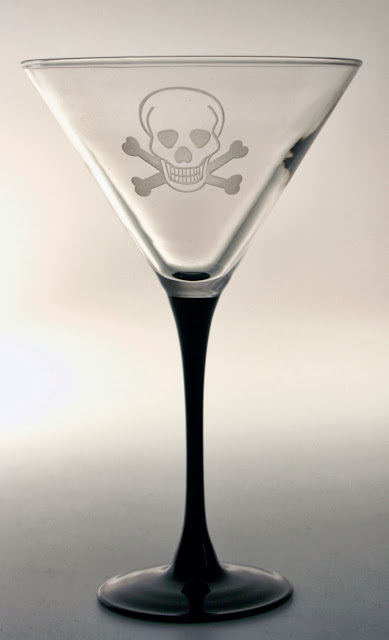 I would love to hear your reviews, if you whip this concoction up in your martini shaker! 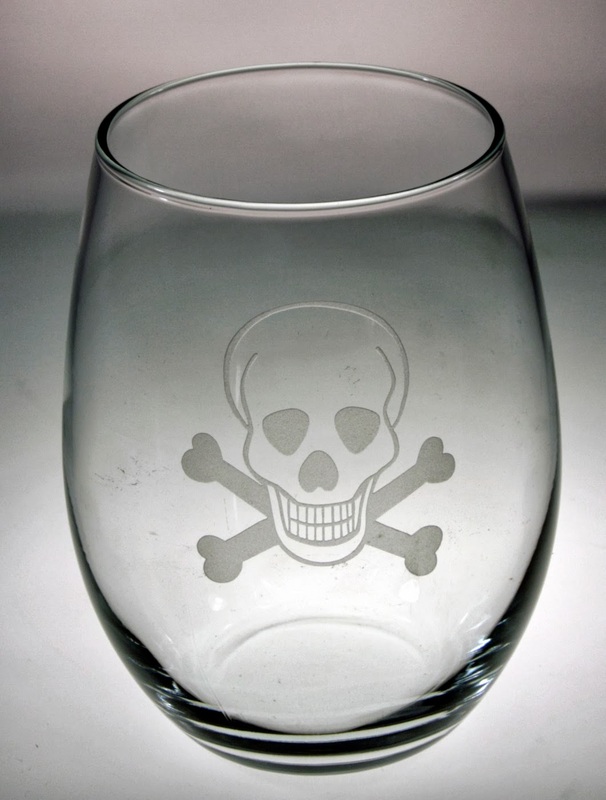 Thought that our "pirate" glassware would be such a fun idea for Halloween and Fall parties! The black-stemmed martini glasses are a new addition! One of my favorite pieces in this whole collection! Have a great weekend everyone. 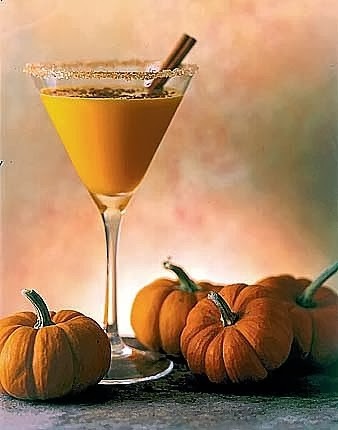 Please feel free to pipe up if you have a favorite pumpkin cocktail recipe that you'd like to share! Pumpkin martinis! Brilliant. 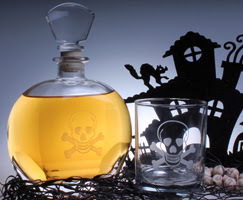 You sure know how to get this expat feeling homesick for that wonderful Halloween vibe.